Celebrating in Tahrir Square after re-election of President al-Sisi for a second four-year term, April 2,2018. NurPhoto/Press Association. All rights reserved. Egypt has been undergoing a tumultuous transformation process triggered by the 2011 uprisings. This process witnessed the Muslim Brotherhood’s candidate Mohammed Morsi become Egypt’s first elected civilian president in 2012, only to be ousted a year later by the military. This paved the way for Field Marshal Abdel Fattah al-Sisi to become president in 2014, whose repression has arguably surpassed that experienced under Mubarak. Media outlets are tightly controlled, critical journalists and activists are prosecuted, and Egyptian civil society is repressed. Ominously, al-Sisi has recently and overwhelmingly secured a second presidential term under conditions described as hardly free, with candidates forced to drop out and others detained by the security forces. Such visible and overt examples of resistance found under contentious politics have become more liable to attract the state’s attention and subsequent repression, therefore making them less feasible in instigating social change at least under the existing conditions. Accordingly, we must alter our understandings of authoritarianism and resistance in post-uprisings Egypt by analysing the various methods used by Egyptian state to subdue CSOs, and importantly, the alternative methods of resistance adopted by CSOs to challenge such restrictions. This is important, as solely focusing on authoritarianism risks perpetuating a one-sided perspective and implies an uncontested authoritarian rule. It fails to broaden our understandings of ‘resistance’. Egyptian civil society has a long history of a variety of organisations such as religious (mainly Islamist) organisations, business associations, labour unions and movements, service-oriented NGOs, advocacy groups (such as human rights, women’s movements, corruption watchdogs), as well as political parties and informal social and community-based groups. What all these organisations have in common is their suppression by the Egyptian state which limits their abilities to get established, get funded, perform their day-to-day activities, and build grassroots presence within communities across Egypt. Moreover, CSOs, particularly political parties, have lacked wide societal support, have been entangled in inter and intra organisational rivalries, and at times have also become co-opted by the Egyptian state to neutralise the radical oppositional elements existing within them. Due to the historical weakness of Egyptian oppositional political parties, many advocacy NGOs, associations and community-based movements have attempted to fill this vacuum by assuming more oppositional and political roles, making them key players within civil society. So we need to look at civil society more broadly and consider the different forms of opposition which include, but are not limited to social movements, advocacy groups, rights-based organisations, educational NGOs, unregistered initiatives, and political parties. I would argue that in order to better understand authoritarianism and civil society resistance, we must also view them both as interconnected and engaged in contestation across various fronts of politics. This proliferation of the sources of contestation is made possible by the diversity of the violent and non-violent methods employed by the Egyptian state to supress CSOs, as well as the CSOs’ abilities to diversify their methods of resistance in response. We begin by looking at how authoritarianism in Egypt has not gone away, but if anything, has become magnified in its scale. I differentiate between ‘soft’ and ‘hard’ repression to signify the challenges facing Egyptian civil society. It is important to note that these repressive methods adopted by the Egyptian state should be viewed as existing on a continuum, ranging from soft (e.g. legal and bureaucratic restrictions) to hard (e.g. arrests and violent crackdowns). Nonetheless, this differentiation only serves explanatory purposes as it does not suggest in any way that these methods of repression are mutually exclusive. In other words, their separation is not clear-cut and the priority of one method over another depends on the political, economic and social contexts, and on the state security’s involvement in the CSOs’ day-to-day activities. Soft repression mainly utilises legal, bureaucratic and funding restrictions to control CSOs. This approach is prominent as it depends on a legal façade which is frequently vaguely worded and constraining, justifying the shutting down of CSOs on the premise of them “breaking the law”. Such bureaucratic and legal restrictions are central in regulating how CSOs are established, and how they function and obtain funding. Until recently, law 84/2002 regulated Egyptian civil society, and accordingly has been consistently criticised for its ambiguous language that enabled the state to selectively and arbitrarily impose it. This permitted the state to control an organisation’s funding, prohibit it engaging in any political activities, block certain individuals from competing in board elections, and even shut down CSOs whilst freezing their assets without judicial order. To further constrain Egyptian civil society, law 70/2017 has been recently approved by al-Sisi and which in effect has replaced law 84/2002. This law similarly imposes harsh restrictions and has been heavily criticised by Amnesty International, as it offers organisations only one year to comply, or risk dissolution. Similarly to law 84/2002, it provides authorities with wide powers to dissolve NGOs, dismiss their board of administration, and subjects staff and volunteers to criminal prosecution. The penalties for non-compliance range from one to five years in prison, in addition to a fine ranging from 50,000 to one million Egyptian pounds (around 55,800 US dollars). Unsurprisingly, Human Rights Watch warns that this law ‘eliminates a path for Egyptian citizens to peacefully express dissent, and access human development initiatives at a time of economic hardship’. These legal restrictions are heavily interlinked with funding as they can restrict an organisation’s access to funding, especially foreign funding. CSOs are required to gain prior approval from the Ministry of Social Solidarity (MoSS). These approvals can be selective and highly dependent on the backgrounds of CSO founders and their perceived threats to national security. What makes such funding restrictions perilous is how they are usually utilised to condemn oppositional organisations by equating foreign funding with harming national interests, and how they also seek to financially stifle CSOs. In short, funding restrictions comprise a serious challenge facing Egyptian CSOs, which have pushed some to employ innovative methods of accessing alternative funding as we will explore later. Under hard repression, the security apparatus’s degree of involvement in civil society takes more direct forms. The expectation of getting arrested and having CSOs shutdown comprised, and still arguably does, a major concern for many CSO members. During my fieldwork, the Egyptian Centre for Economic and Social Rights (ECESR) was targeted by the security forces, and their offices raided and a number of their members arrested. The Cairo Institute for Human Rights Studies (CIHRS) was also targeted, its head banned from travelling abroad, and was forced to relocate its international programs outside of Egypt, cancelling its annual human rights summer school. In the following three years and leading to the 2018 presidential elections, the situation has become increasingly challenging. In the aftermath of al-Sisi securing a second presidential term, the crackdown on civil society intensified with the arrests of activists, bloggers, journalists and human rights defenders. This repression is mostly directed against CSOs and activists that go against the accepted discourses and activities promulgated by the Egyptian state, whereby under such contexts, any independent or critical initiatives are viewed with suspicion. CSOs have faced, and will surely carry on facing, a host of repressive challenges that will force them either to stop working ‘so as to protect ourselves and each other’ as one activist put it, or find ways to adapt their strategies to survive and function under the existing conditions. Since it has become challenging for the Egyptian opposition to solely utilise contentious politics as means of resistance, CSOs have sought other avenues of resistance that are accessible even in authoritarian contexts if you look for them. These comprise legal resistance through the formation of CSOs, financial resistance, and building alliances. These methods do not necessarily adhere to conventional methods of resistance associated with direct political action. However, they enable CSOs potentially to overcome the state’s restrictions across multiple fronts relating to their establishment, funding and day-to-day activities. These practices are part of a wider movement of resistance capable of challenging the strict restrictions in place to hinder CSOs, whereby efforts exerted to overcome this (even through legal means) become viable acts of resistance in their own right. Registering and functioning as non-profits or law firms confers two advantages. Firstly, organisations registering as non-profits do not have to register with the Ministry of Social Solidarity (MoSS) and therefore do not have to face many of the restrictions imposed by law 84/2002 (and now law 70/2017). There are more opportunities for them to engage in political activity which is otherwise banned under the aforementioned laws. Secondly, registering as law firms enables organisations to offer legal services, and engage in activities such as research, publishing and media work. Moreover, it provides more flexibility to engage in advocacy activities. Nonetheless, these examples should not imply that non-profit organisations and law firms can be completely free from state interference. As I highlighted above, rights-based organisations that are registered as law firms can still face crackdowns from state security. Additionally, under law 70/2017, there is a requirement for organisations to register “correctly” with the MoSS, therefore potentially further limiting such opportunities to bypass restrictions on getting established. Functioning as an unregistered initiative is another method of resistance in the process of formation. Since these initiatives are unregistered, they can either work underground or can be incubated by larger organisations. According to a member of one educational initiative I interviewed, such initiatives are more difficult for the state to monitor and control as they have the flexibility to move around without attracting attention. To move around without hindrance can provide opportunities to function and survive under the current repressive context. Having no registered headquarters makes it more challenging for the state and its security apparatus to intimidate initiatives as they can appear invisible. As a member of one such initiative contends, ‘the government does not feel all these initiatives and all this movement happening now. It thinks they are invisible…It is like they are blind, and of course this is resistance’. These can certainly offer a space for CSOs to function without attracting attention. Yet it is important to note that this invisibility is not and cannot be absolute, especially if they have to collaborate with other organisations and movements to instigate substantial changes. This will eventually imply that their invisibility will become less tenable, and if it is somehow maintained but without joining a broader movement, then their influence could be limited. To summarise, the examples outlined here offer CSOs an alternative route for getting established even if they are not necessarily completely free from state interference. Being under the prerogative of strict financial restrictions limits an organisation’s activities and outreach, and encourages the fragmentation of civil society by encouraging competition for funding. To deal with these restrictions, some CSOs have utilised crowdfunding as a potential solution. Crowdfunding should be considered as an alternative method of funding that can enable CSOs to bypass state restrictions. It also involves the wider public and stakeholders and helps CSOs obtain local independent funding. One prominent example is a boardgame developed by an educational organisation that teaches young adults, in a critical manner, about Egypt’s diverse history, geography and culture. This game predominantly relied on crowdfunding to help raise the required funds, enabling developers to donate free games to community centres and schools across Egypt. Crowdfunding mostly depends on dedicated facilitating organisations (such as Madad, Shekra, Indiegogo and others) that facilitate this process by providing online platforms for CSOs to showcase their projects, and get funded by members of the public. Importantly, crowdfunding enables less-established CSOs to obtain funds and reach out to the wider community, and arguably decreases the chances of funding bodies interfering in deciding how their money is spent. For a senior member of a crowdfunding facilitator, crowdfunding can weaken the state’s firm control over funding through empowering organisations to depend on their collective power. Nonetheless, crowdfunding does contain a number of limitations which mainly revolve around its dependence on the internet to advertise and collect donations. Overly depending on online communication means risks excluding communities that do not have internet access, afflicts CSOs that work in rural contexts, and alienates funders who cannot pay online. An educational organisation offers a potential method of overcoming this difficulty by using more “offline” ways to obtain funds, such as distributing donation boxes, alongside leaflets that explain their activities and how they will use the money, throughout bookstores and cafes around Cairo. Moreover, the state can restrict crowdfunding as organisations are still legally required to obtain permission before they can collect money publicly. It can also be challenging for explicitly oppositional CSOs to feature on such platforms, particularly under the current political context. In short, despite the above limitations, crowdfunding provides CSOs with an alternative and innovative way to obtain resources, as well as ensuring the community’s involvement in their activities. CSOs building alliances comprises a third aspect of resistance that is usually downplayed when discussing alternative forms of resistance. Building alliances can help make a CSO’s presence stronger, more sustainable and can aid in overcoming financial and organisational limitations. However, some CSOs have historically found it difficult to cooperate and build alliances due to issues surrounding egoism, competition, as well as the presence of state security informants which could lead to the breakdown in trust between organisations (especially between political parties and rights-based organisations). Another issue concerns their interference in and replication of each other’s work. Despite these hindrances, since the 2011 uprisings, there has been a growing number of CSOs and activists who have been working on establishing alliances through networking. Networking enables CSOs to collaborate and exchange ideas in order to avoid interfering in each other’s work. A prominent example of networking is an initiative which works on bringing people from various political, social and educational backgrounds together in order to build networks comprising educators, activists and CSOs. Networking events can improve the possibilities of organisations not replicating each other’s work, or “stepping on each other’s toes”. They can additionally encourage organisations to know more about each other’s activities, objectives, and the communities they target, therefore enabling them to exchange knowledge, mobilise resources, and even share each other’s networks. Developing networks, sharing knowledge and resources can enable CSOs and activists to build a movement that is coherent, focused and relevant to the struggle for social change. It can also empower this movement through developing a sense of collective understanding that can aid in creating alliances and partnerships that could eventually have numerous political and social implications in post-uprisings Egypt. It is worth noting that building alliances also occurs between political parties and rights-based organisations. These collaborations enable political parties to make use of the rights-based organisations’ research and knowledge-resources as well as their legal services (especially if the organisation is registered as a law firm). As is the case with the previous examples outlined so far, difficulties do arise when building alliances, particularly between political parties and rights-based organisations. For instance, they may not always share similar agendas or priorities. Furthermore, members of rights-based organisations may mistrust parties and therefore refuse to collaborate, insisting that parties are more interested in attaining power than addressing societal issues. Crucially, we should not underestimate how some CSOs may self-police by refusing to collaborate with others deemed to be too “oppositional” and/or “political”. Discussions surrounding post-uprisings Egypt have been heavily focused on authoritarian resilience, the failures of the opposition, and the repression of civil society. This narrow perspective has failed to explain many of the political developments taking place in post-uprisings Egypt, even under President al-Sisi’s rule. By outlining how the Egyptian state utilises a continuum of repressive methods ranging from soft to hard, we can consider the various practices employed to repress civil society and the methods used to challenge this. This inevitably implies a dynamic relationship between authoritarianism and resistance, whereby authoritarianism is never absolute, but is always challenged through multiple ways that do not solely revolve around contentious politics. 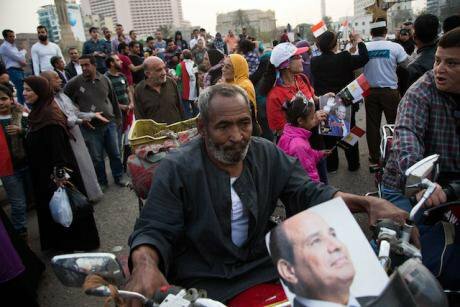 It is crucial that we explore further how CSOs continue to adapt their strategies to survive and function under such challenging conditions, conditions arguably becoming more pressing thanks to al-Sisi’s recent re-election. The methods of contestation discussed here are not always explicitly political or radical, however they still contain the limited means where the state’s legal, bureaucratic and security structures could be challenged. Each method contains its own set of limitations and tensions, yet it is important to note that this does not, and should not, negate the innovative and creative methods utilised by Egyptian CSOs to adapt to the current political context. Finally, to truly help instigate social change, CSOs and movements should first and foremost understand the communities they claim to represent, and crucially, develop close grassroots ties with them that are built on mutual respect. The efforts outlined here are necessarily contingent on how CSOs can translate them into building grassroots ties with a wider society. In other words, such efforts need to be translated into a wider collaborative movement capable of further challenging the Egyptian state’s restrictions and authoritarianism via multiple facets that are inclusive of the people affected.